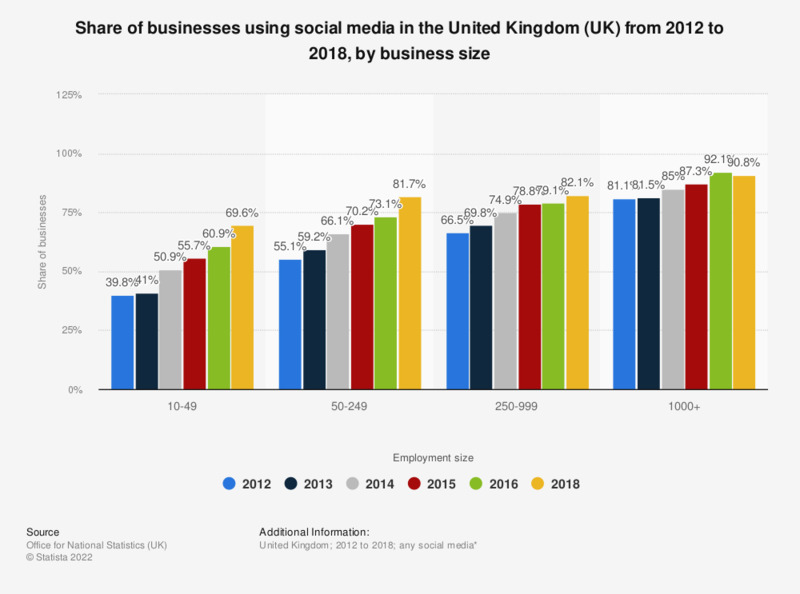 This statistic displays the share of businesses using social media in the United Kingdom from 2012 to 2016, by business size. In 2016, of businesses with 10 to 49 employees, 60.8 percent used social media. Social media penetration was highest among businesses with over one thousand employees. * Includes use of social networks, business blogs or microblogs, multimedia content sharing websites, and wiki based knowledge sharing tools.